← Live from My Town, It’s Retro Saturday Morning! 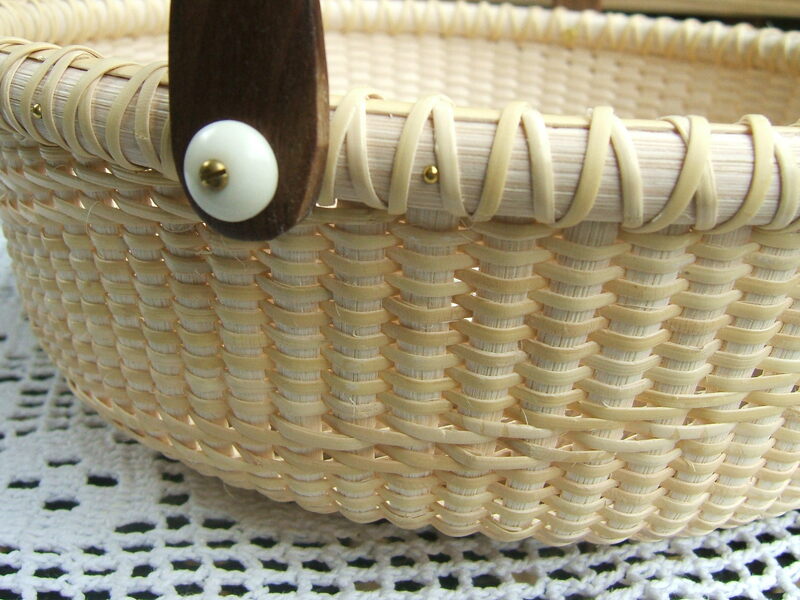 There is a lot of time invested in this gorgeous Nantucket style basket. A lot of time. Close up of S’s beautiful workmanship. 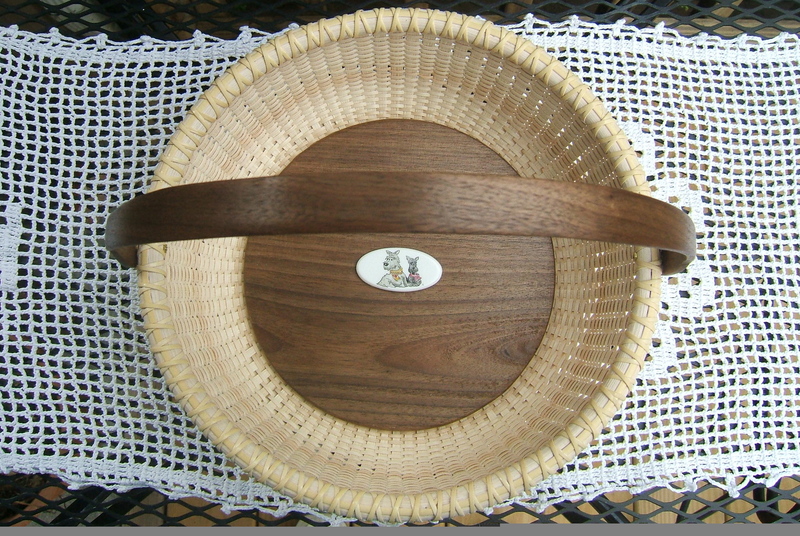 The basket has a wooden handle and base. “S” put extra love into this basket at every possible opportunity. The inside bottom of the basket has a personalized scrim. “S” had it made using art from one of our Christmas cards, which are designed by my husband. 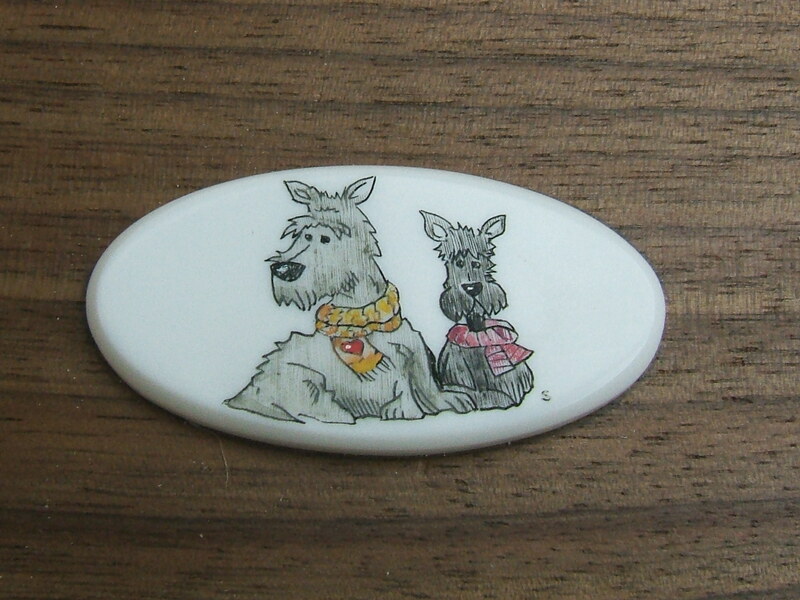 It features our dear Scottie, Scamp (who has since crossed the Rainbow Bridge) and little Scottie, Mitty, who is our dear companion. Scrim featuring Scotties Scamp and Mitty. I can tell you that this gift brought tears to my eyes. 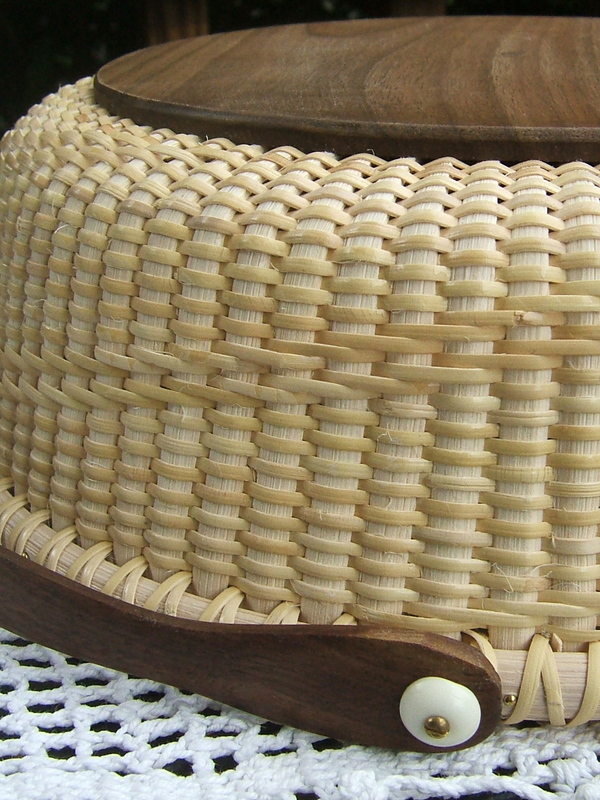 The pure love that went into the creation of this basket is truly a gift in itself. Thank you, dear friend. I will treasure this gift of love forever and ever. 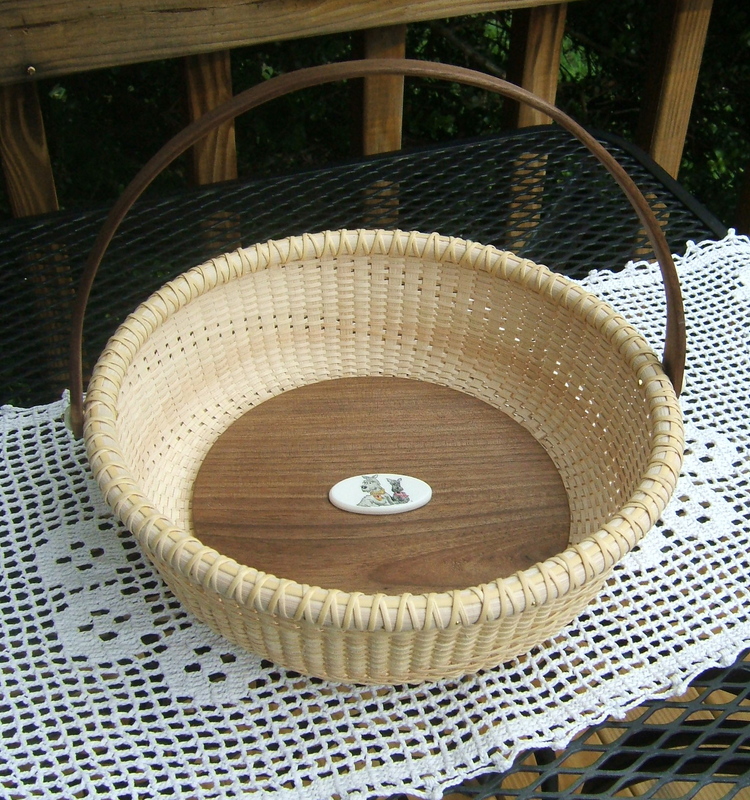 This entry was posted in Scotties, Uncategorized and tagged basket, hand-made, Nantucket, Scottie, scrim. Bookmark the permalink. What a lovely and heart-felt gift and yes, “S” put A LOT of time and love into it! The basket is absolutely beautiful, and so is the friendship that you both share. Enjoy! 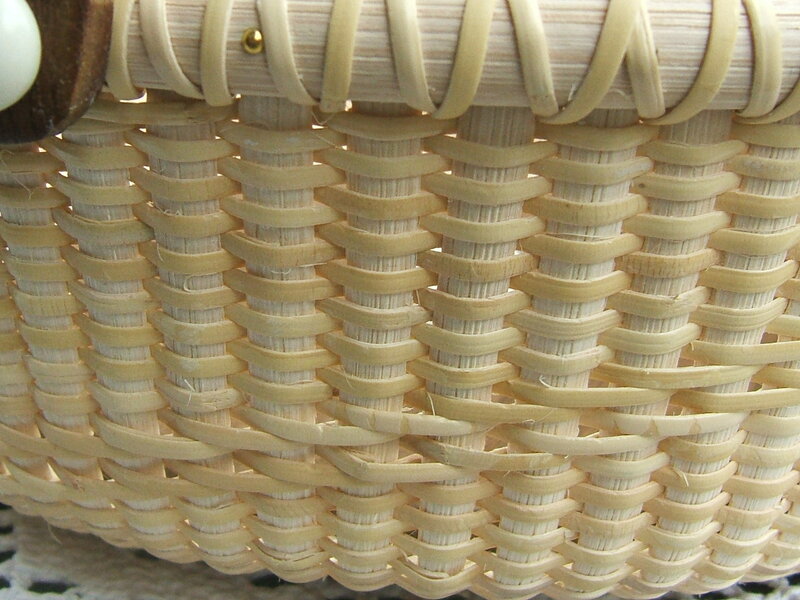 I have made one basket, it took forever to finish and didn’t look half as incredible as your friend S looked. Such a lovely gift and friendship!